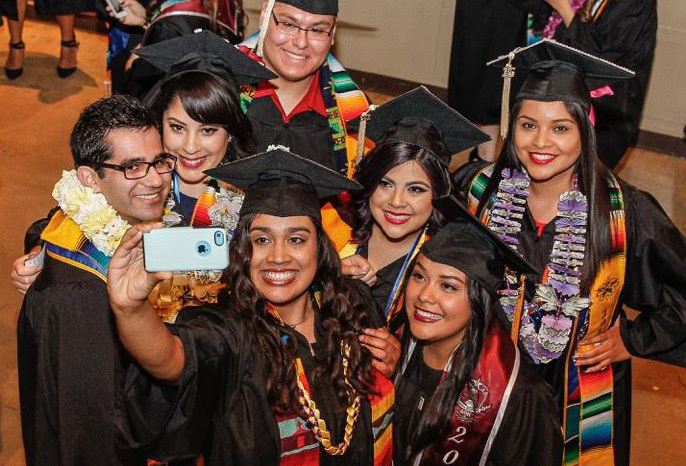 A moment to remember at the 2015 Chicano Commencement (Photo: Sergio Estrada | Estrada Photos). In 1968, a group of Chicano students participating in the San Jose State commencement ceremony at Spartan Stadium peacefully walked out of the president’s speech in protest of lackluster resources and in support for students of color. 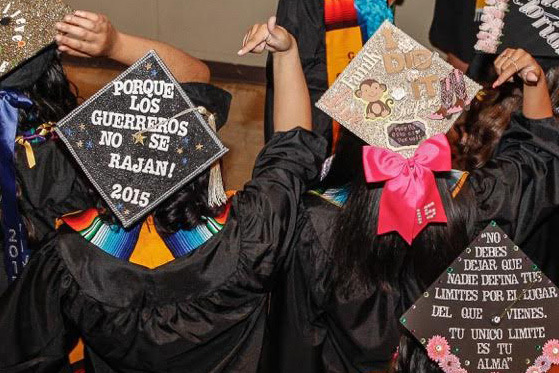 They created their own “Chicano Commencement” to celebrate their accomplishments, and a tradition was born. Now 48 years later, Chicano Commencement has evolved into an elaborate event where participating students invite loved ones on stage, give speeches and share cultural food while enjoying mariachi music. 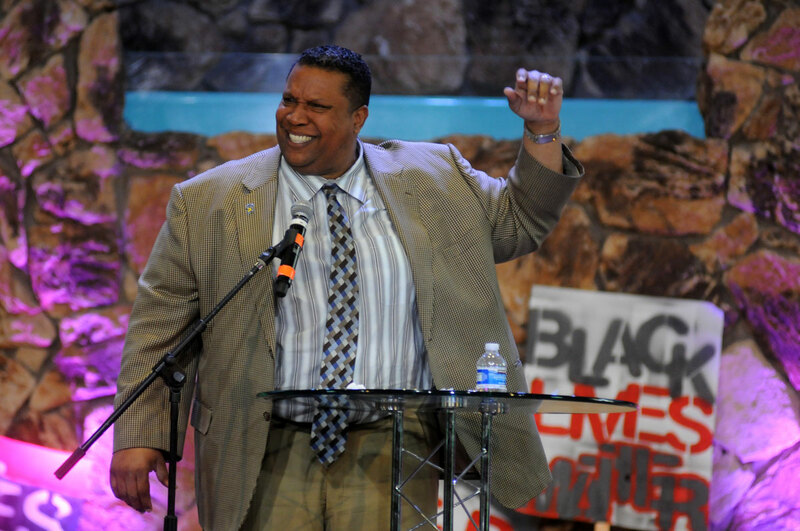 The event is one of several dozen convocations and receptions held annually by departments, programs and student groups. By hosting fundraisers on campus, participants of each year’s commencement aim to raise $50,000 toward planning and supplying an event location, food and entertainment. The organization is currently $15,000 shy of their goal. Honoring friends and family in 2015 (Photo: Sergio Estrada). 2015 caps (Photo: Sergio Estrada). 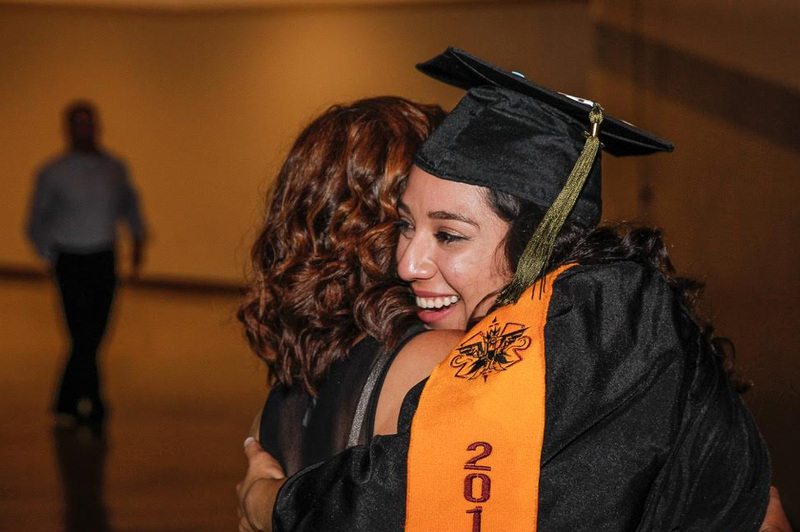 Huizar said 60 graduates will enter the Event Center accompanied by two loved ones and have the opportunity to bestow “Stoles of Gratitude” to their loved ones in honor of their support. “I thought this was a perfect thing to add to find different ways to connect our parents even more to this ceremony,” Huizar said. For Irma Flores, ’16 Behavioral Science, her family support system eased her “rollercoaster” of a transition when she learned she was pregnant in her second semester at SJSU. Flores comes from a family of hard workers; her grandfather came to the U.S. as a fieldworker as part of the Bracero Program in the 1940s, her mother cleaned houses and her father has worked in the fields during Flores’ upbringing. Andrea Fernandez, ’16 Communication Studies and co-chair of Chicano Commencement, said she believes the ceremony is as much about celebrating family and loved ones of graduates as it is for the students who participate. “I want to recognize all the families and friends present because they are a huge part of the journey here as Spartans,” Fernandez said. Some journeys prove to be historically bumpier than others, and only flourish by an aspiration for a better life. Andrea Ruiz, ’16 Public Relations, is the programming chair of the ceremony and has been fueled by her parent’s journey from Oaxaca, Mexico, to the United States. In 1969, 11 students participated in the commencement protest and now 60 students will grace the Event Center stage as part of this historic event. But Fernandez wants those numbers to steadily increase for years to come. ‘This year Damien Trujillo,’93 Journalism, will take a break from his reporting gig at NBC Bay Area to deliver the keynote speech, a speech that Fernandez said she hopes resonates with the emerging professionals. Most notably though, Huizar said Chicano Commencement’s legacy should endure through the activist spirit on which it was founded. 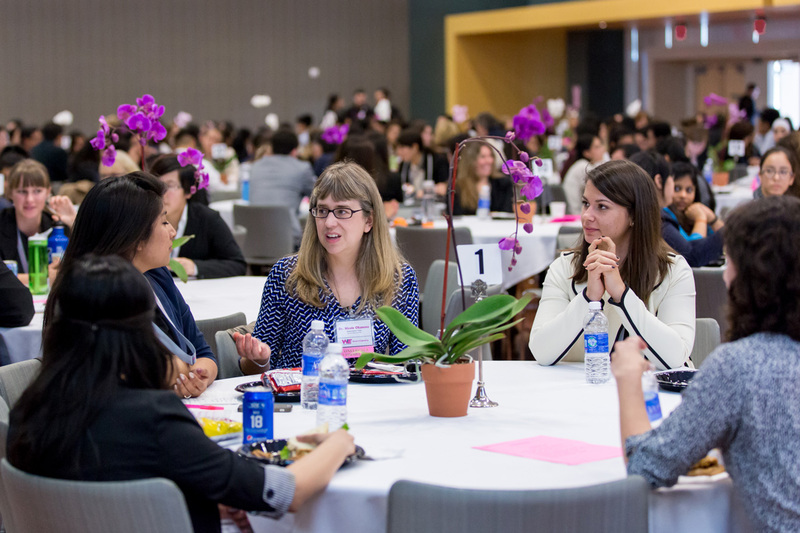 When Hanni Ali, ’17 Chemical Engineering, took the Student Union Ballroom stage, she prepared to share an all-too familiar experience with over 300 female engineering students and professionals as part of the second annual Silicon Valley Women in Engineering (WiE) Conference on Saturday, March 12. Ali attended the conference last year as a prospective transfer. This year, she was selected to speak at a gala dinner. The event offers the opportunity for professional women engineers to share with students their perspectives on entrepreneurship, innovation and leadership in the predominately male dominated industry. 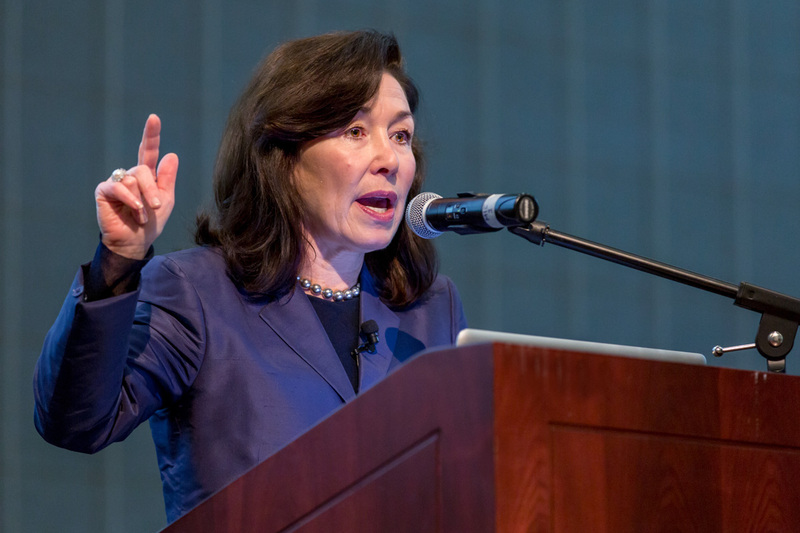 Oracle CEO Safra Catz (Photo: David Schmitz). Associate Dean of Engineering Jinny Rhee (Photo: David Schmitz). Speakers included Oracle CEO Safra Catz, Apple Vice President of Wireless Technologies Isabel Mahe, and Facebook Vice President of Product Management for Social Good Naomi Gleit. Guests attended 25 workshops throughout the day in topics including mentorship strategies, women in STEM leadership, smart cities, renewable energy, water sustainability, 3D printing, robotics, self driving cars, precision medicine and big data. 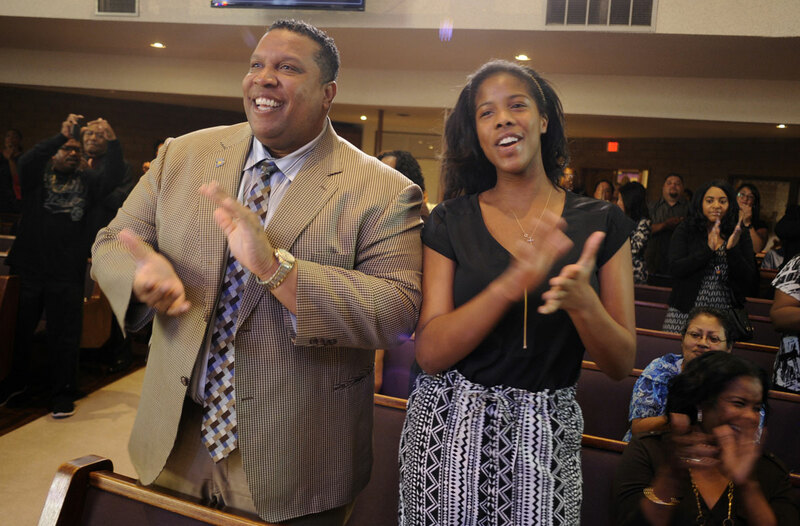 The conference was supported by a gift from the Mark and Carolyn Guidry Family Foundation. The late Carolyn Guidry, ’79 MS Computer Engineering, worked at Hewlett-Packard and then founded two companies in partnership with her husband. 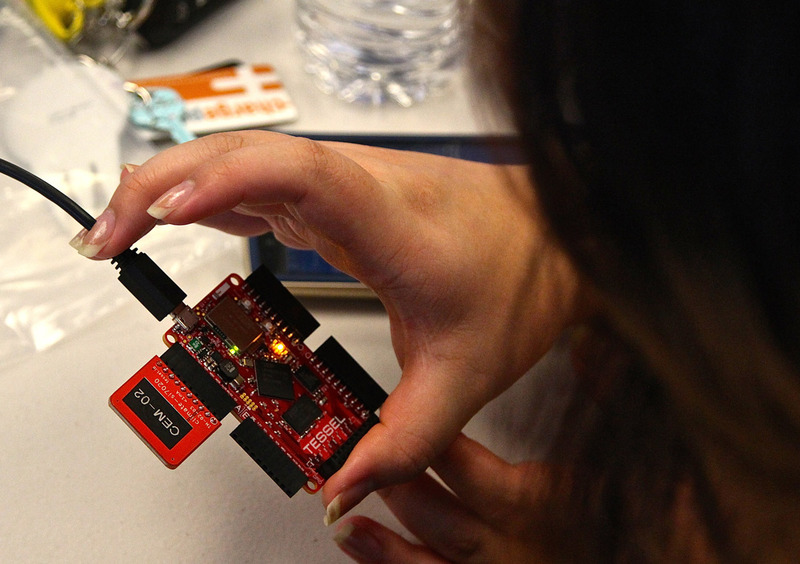 The conference is part of a wider effort to support aspiring women engineers. Applied Materials was a sponsor. With the help of each speaker and activity, the misconceptions and concerns expressed by many in the beginning of the day were exchanged with supportive, excited chatter come dinnertime. Apple’s Isabel Mahe silenced the common concern that women can’t be successful engineers and also be strong mothers when she shared her experience getting invited to dinner by Steve Jobs while she was still on maternity leave. After two hours of conversation with Jobs, Mahe accepted the position that she has held for eight years. She is now a mother of four. 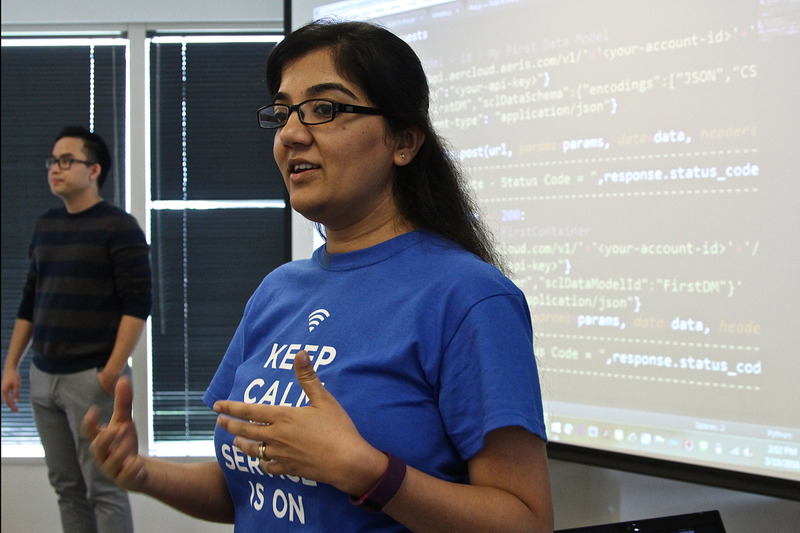 Grumblings of the “glass ceiling” limiting women in the industry were shattered when Catz shared her journey from a stint in the “boys club” investment banking realm to the evolving software industry — all while donning a pair of blue pumps. IBM Corporate Citizenship and Corporate Affairs Manager Kristina Vasquez, ’02 Computer Engineering (Photo: David Schmitz). 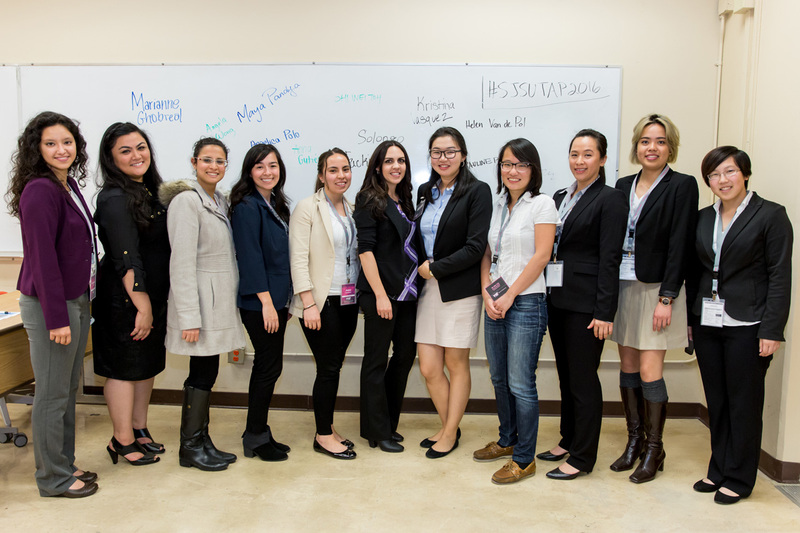 IBM Corporate Citizenship and Corporate Affairs Manager for IBM Kristina Vasquez, ’02 Computer Engineering, hosted an interactive mentorship workshop with nine engineering students to discuss the importance of mentors and how to find them. 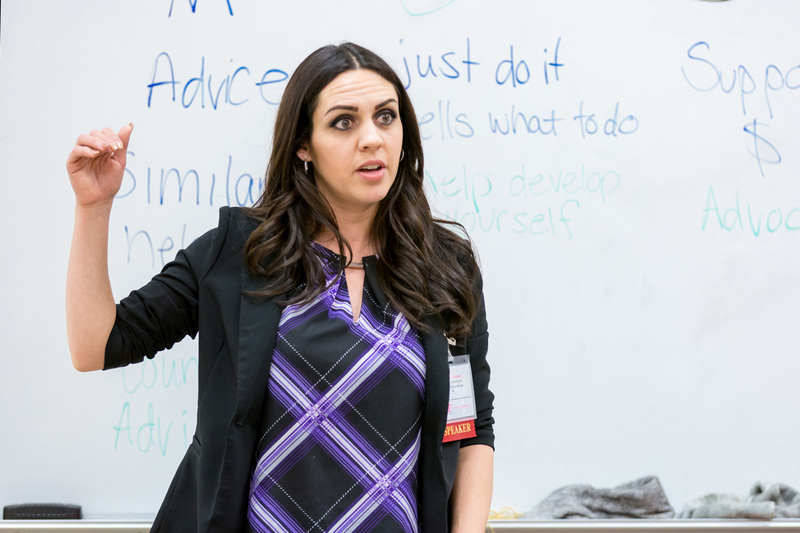 Vasquez, who graduated from San Jose State in 2002, said she saw this conference as an opportunity to not only maintain the sense of community among women engineers at the university, but also teach women that anyone can fill the role of being a mentor. Solango Altanparev has been accepted as an SJSU civil engineering major (Photo: David Schmitz). One attendee of the workshop, Solango Altanparev, raised her hand during a discussion portion and admitted her initial interest in attending the conference was beyond merely receiving professional advice. “I came here to this conference in a way seeking a mentor because I don’t really have any guidance,” Altanparev said. 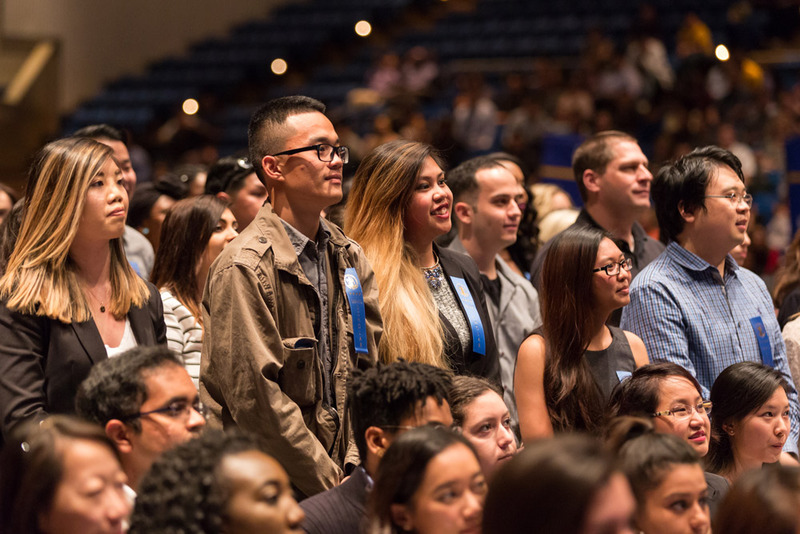 Altanparev, who has been accepted as an SJSU transfer from Peralta Community College as a civil engineering major this fall, said the conference gave her a sense of hope and preparedness as she continues her academic career. Kaitlyn Bell, ’18 Mechanical Engineering, said she struggles to find representation in her department, where just 17 percent of the students are women, but felt warmly welcomed into the broader evolving engineering community. The idea of girl power was a common discussion point across several workshops and even in the final keynote speech of the evening, delivered by Leyla Seka, senior vice president and general manager of SalesForce. Seka pressured the women in attendance to raise their voices in the professional realm so they may pursue opportunities, demand equal pay compared to male counterparts in the industry, and take risks. Brian Andres & the Afro-Cuban Jazz Cartel perform at the second annual Essence of Blackness event (Photo: Lauren Hernandez, ’15 Journalism). The pounding of conga drums married with the seductive blare of the trumpet filled the Student Union Ballroom as part of the second annual Essence of Blackness event. The African AmericanStudent Success Task Force hosted the event along with its Harambee Committee to explore just one influence of African culture on the world by focusing on jazz music and its rich, diverse history in the United States and beyond. 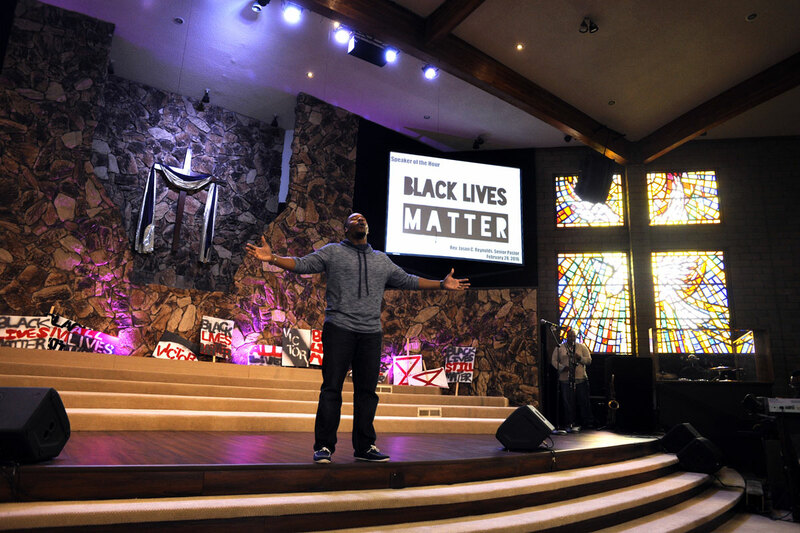 The Essence of Blackness theme was born last year following conversations with African American students regarding the type of programming they felt was necessary to share with the campus community, with an educational component being at the forefront. 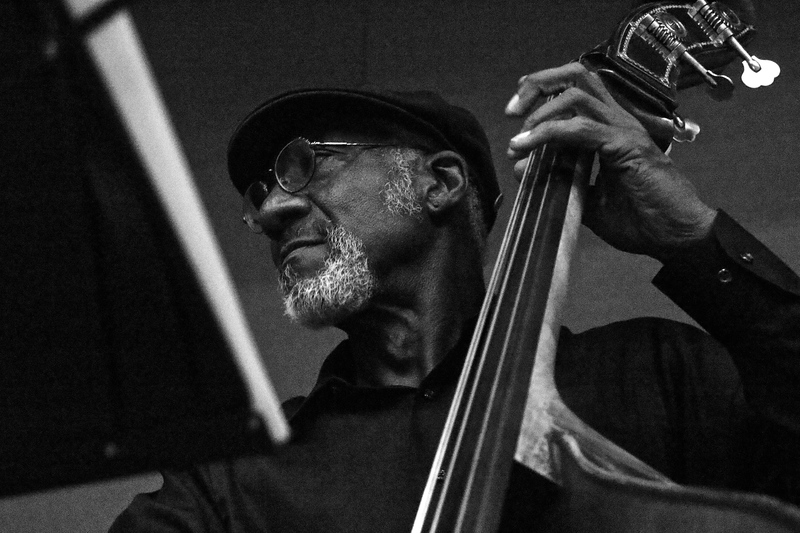 Charlie Channel of the Charlie Channel Quartet strums on his bass during a traditional jazz performance at the second annual Essence of Blackness event (Photo: Lauren Hernandez, ’15 Journalism). 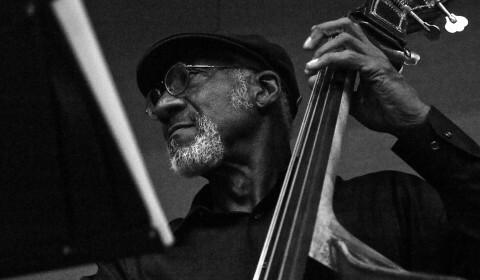 “I do think young people now are not exposed to jazz and do not always understand that its origins do come from Africa and this country,” Randle said. Charlie Channel of the Charlie Channel Quartet, one of two types of jazz represented that night, lectured attendees on the history of jazz before delving into a traditional jazz performance. Channel read Langston Hughes’ poem titled “Drums,” which represents the origin of jazz by chronicling the movement of slaves from Africa while describing the survival and re-emergence of the drums into new lands. 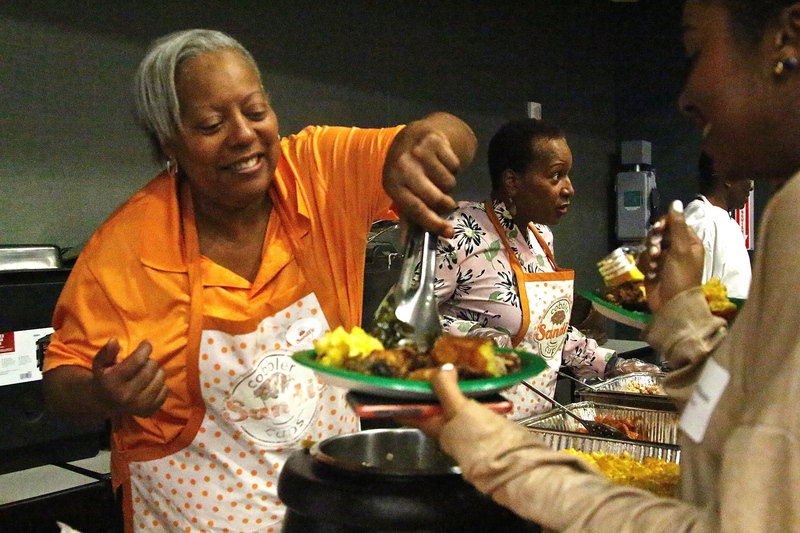 A server from Sandi’s Cobbler Cups serves American soul food at the second annual Essence of Blackness event (Photo: Lauren Hernandez, ’15 Journalism). 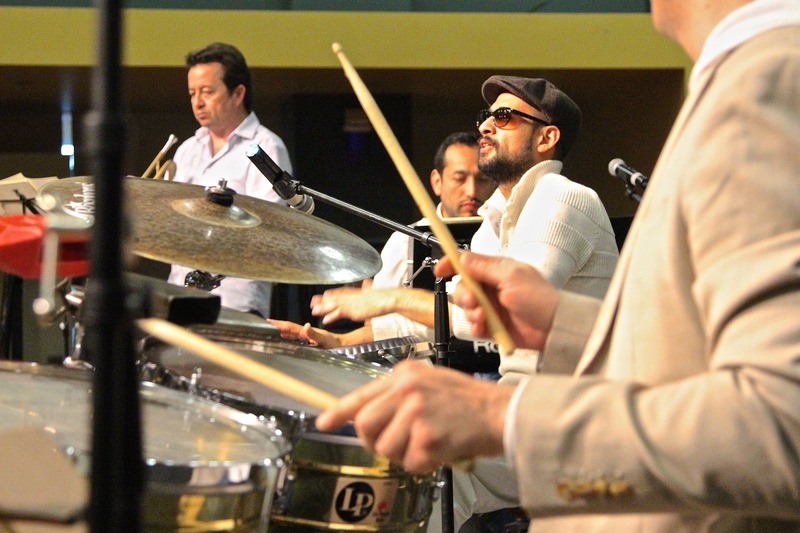 The genre’s diversity was introduced to attendees by Brian Andres, the drum set and leader of the Brian Andres & the Afro-Cuban Jazz Cartel. He discussed how the music evolved in the United States with the help of Mario Bauza, a Cuban clarinetist who played a role in launching the Afro-Cuban jazz movement during the Harlem Renaissance. While some attendees leapt to their feet and danced as Andres and his band’s upbeat conga drumming and lively trumpeting reverberated throughout the ballroom, others merely indulged in Walia Ethiopian, Caribbean and American soul-food cuisine. 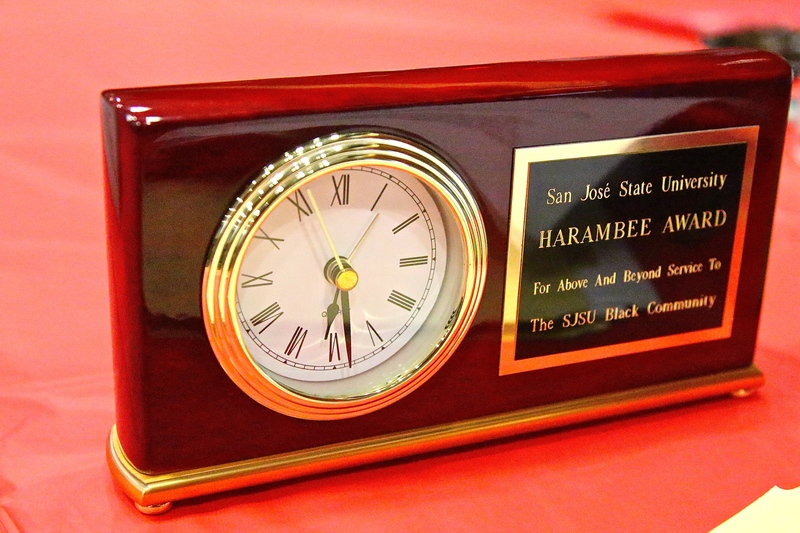 As part of the Harambee Awards, a first in the program’s history, commemorative clocks were given to individuals in the campus community who have served and shown commitment toward the success of African American students. 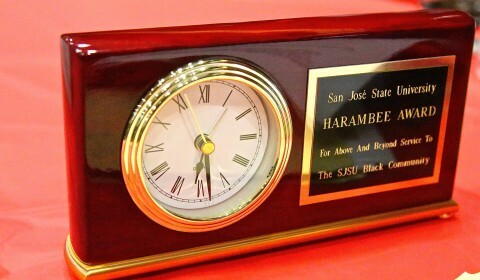 Commemorative clocks were given to individuals in the campus community who have served and shown commitment toward the success of African American students (Photo: Lauren Hernandez, ’15 Journalism). Gary Daniels, Harambee awardee, said although he is thankful for the recognition, he is not a student activist to gain accolades. “Young people should use their talents and energy to make the world a better place regardless of whether they get awarded or recognized,” Daniels said. Jerusalem Bekele, ’17 Kinesiology and fellow Harambee awardee, said events like Essence of Blackness are essential to not only educating the campus community about various cultures and the origin of traditions, but also to building a sense of community. Donntay Moore-Thomas, ’17 Communications, said although it was nice to see familiar faces that comprise the three percent African American population at SJSU, she was thrilled to see people from other cultural backgrounds attend as well. 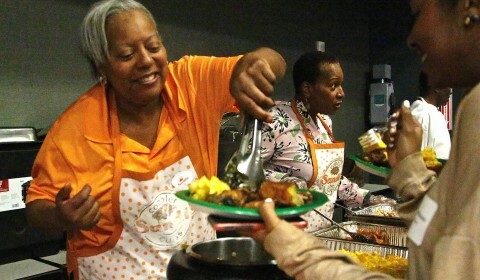 “If we can share a meal together, I feel that we can come together for a greater cause,” Moore-Thomas said. 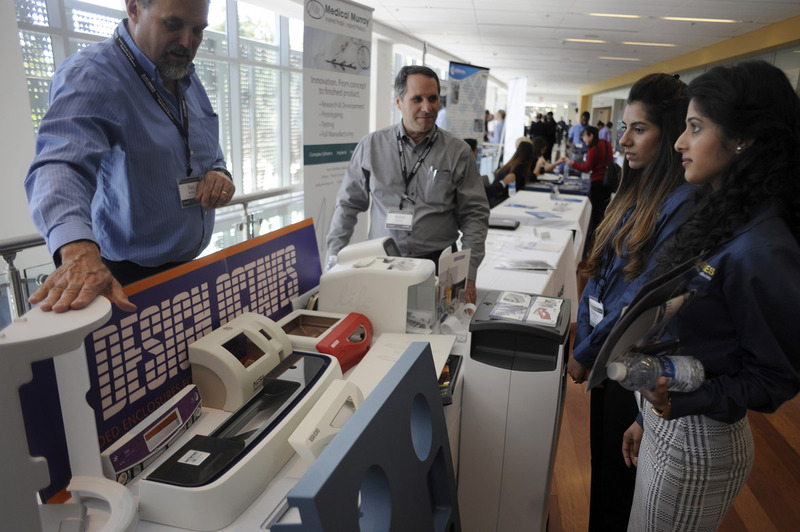 The San Jose State Biomedical Engineering Society (BMES) ushered in its Seventh Annual Bay Area Biomedical Device Conference March 30 with discussion topics ranging from unmet medical device needs in developing countries to nanotechnology and entrepreneurial guidance. 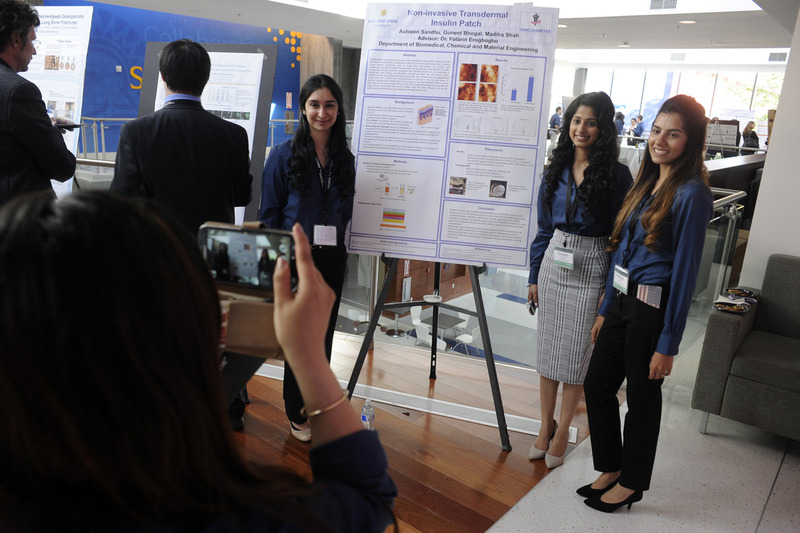 The conference, which has been student-organized by the SJSU BMES since its inception in 2010, was created to give students the opportunity to exchange ideas and network with medical device industry professionals and academics. 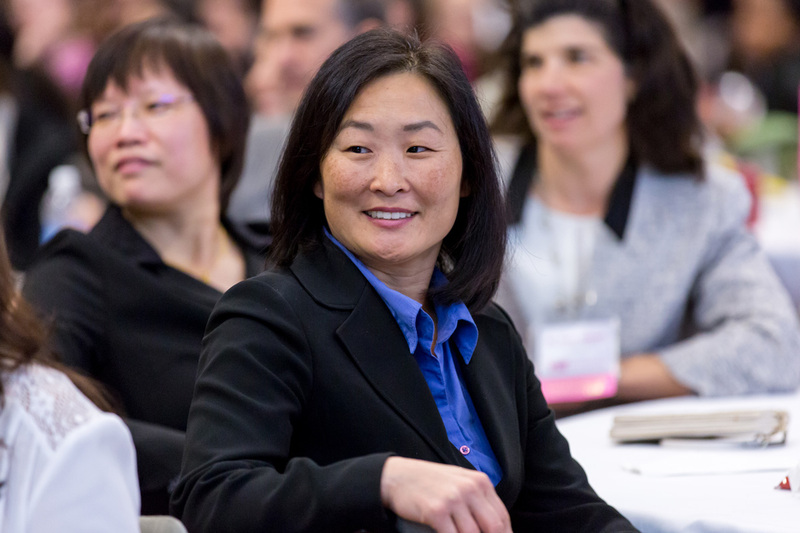 Hanmin Lee, surgeon-in-chief of UCSF Benioff Children’s Hospital, said the more than 300 students, staff and industry professionals who filled the Student Union Ballroom all share a common interest as part of the biomedical realm — making the world a healthier place. 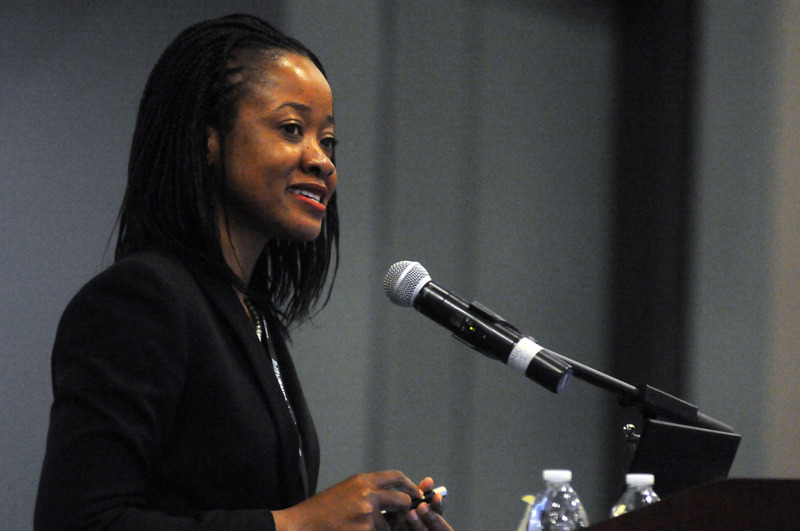 Olubunmi Ode (Photo: Neal Waters, ’07 Geography, ’16 MS Mass Communications). Shanelle Swamy, ’18 Biomedical Engineering (Photo: Neal Waters, ’07 Geography, ’16 MS Mass Communications). Olubunmi Ode strives to do just that, by aiding unmet biomedical needs of young children in Nigeria, a country that she says is plagued by power outages and a lack of proper medical devices. Ode, a pediatric intensivist based in Abuja, Nigeria, has focused her life’s work on taking care of children in intensive care units through Hospitals for Humanity, a nonprofit organization that is mostly volunteer based. Shanelle Swamy, ’18 Biomedical Engineering, said she was inspired by Ode’s tales of working in inadequate medical conditions in an effort to improve Nigeria’s high child mortality rate. Swamy, who was also a conference volunteer from SJSU BMES, said listening to the successes and difficulties of Ode and other industry professionals helped her narrow her goals as an emerging biomedical engineer. 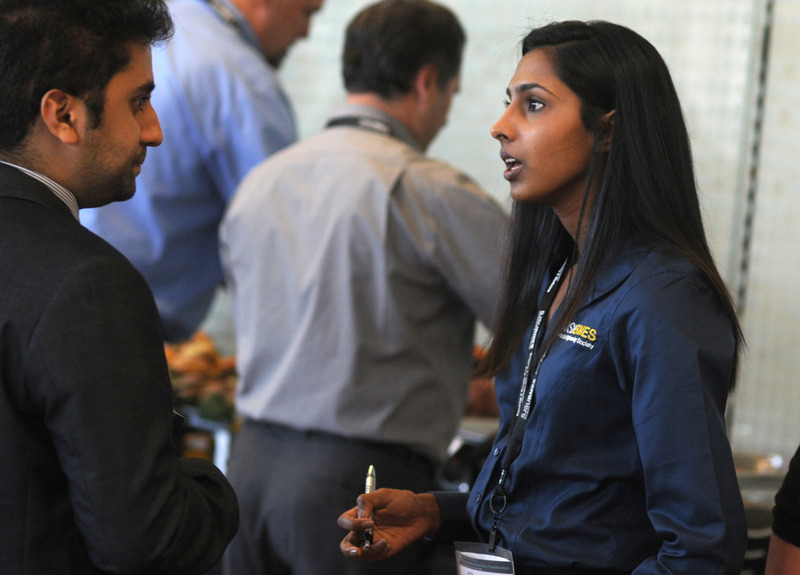 In addition to the talk sessions, 28 student groups presented various research projects to industry professionals on posters during the networking reception portion of the conference. Jung Han Kim, ’16 MS Biomedical Engineering, presented his research on using nanoparticles to deliver drugs that can precondition the heart to future heart attacks. The drug delivers “small heart attacks” so that “when the real heart attack occurs, the heart is preconditioned so it can withstand the longer heart attacks,” Han Kim said. Erogbogbo said conferences like these are important for students to not only showcase their research, but to also engage with professionals. Exactly how much stress do you feel on the job? Kelli Sum, ’16 Industrial and Systems Engineering, and Assistant Professor Dan Nathan-Roberts are tackling this question as part of their work in the SJSU Undergraduate Research Grants Program. 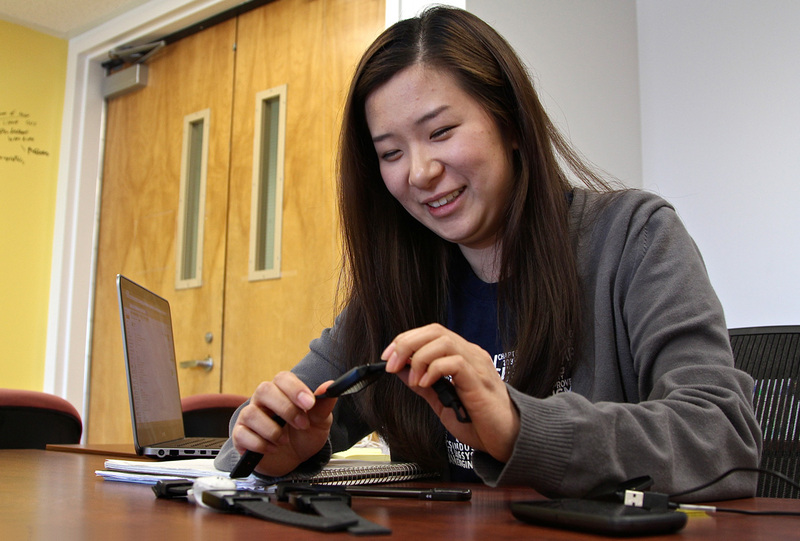 The program, which gives student-faculty teams the opportunity to collaborate, provided the pair a $1,000 grant toward their project regarding quantifying workload with wearable technology. Sum’s initial idea was founded on how fitness trackers can be used as motivation to improve a person’s health, but she realized upon consulting her professor how the same technology could lend itself to tracking and managing the workload of nurses, athletes and even soldiers. “My goal is to hopefully solidify that foundation and use these [trackers] for many different people to quantify how hard they’re working,” Sum said. 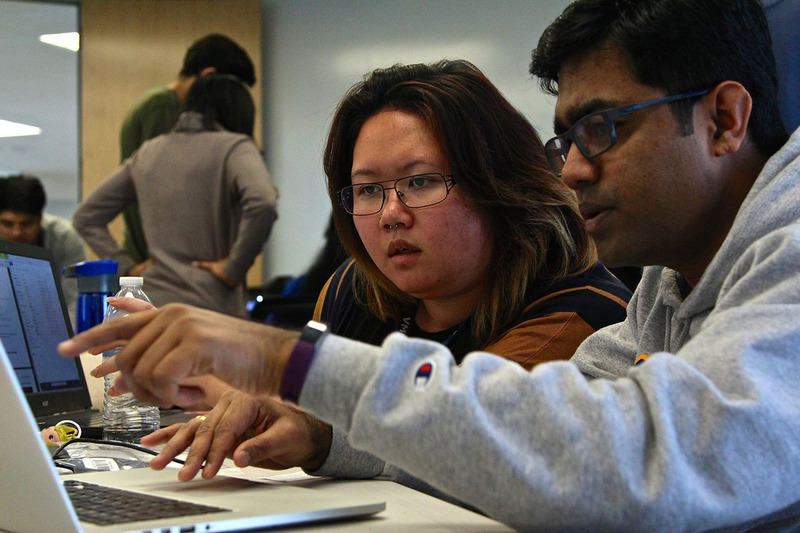 Sum is conducting preliminary research with the help of her colleagues in the USERlab (User Systems Engineering Research Laboratory), a group of undergraduate and graduate students collaborating on research projects under the guidance of Professor Nathan-Roberts. 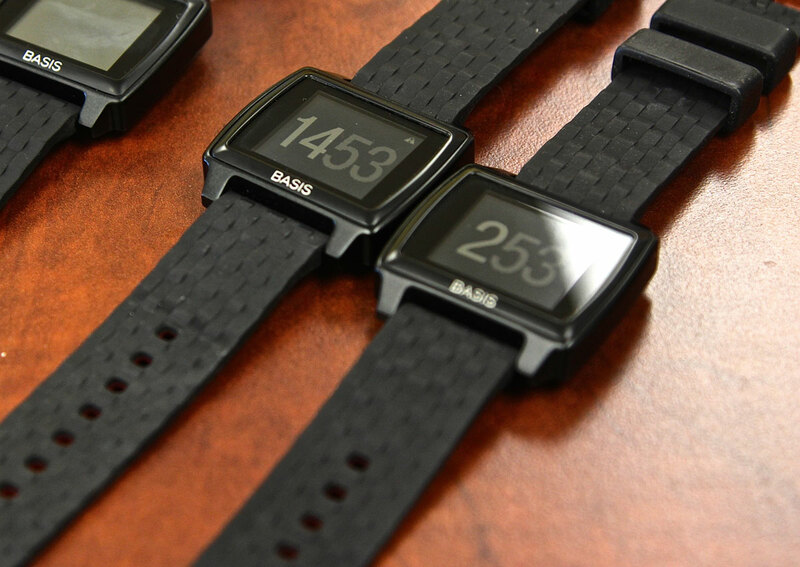 Armed with Basis Peak fitness trackers for a week at a time, Sum’s colleagues have tracked their heart rate, skin temperature, Galvanic skin response (the skin’s electric activity), number of calories burned and number of steps taken. After a week of tracking, Sum downloads the device’s collected data, drops it into an Excel worksheet and analyzes the information. The peaks in the graph indicate when a person is working hardest, and perhaps experiencing the most stress. That knowledge may one day help nurses, soldiers and others moderate their activities so they are more effective over the long run. For now, Sum is testing the concept on fellow students. 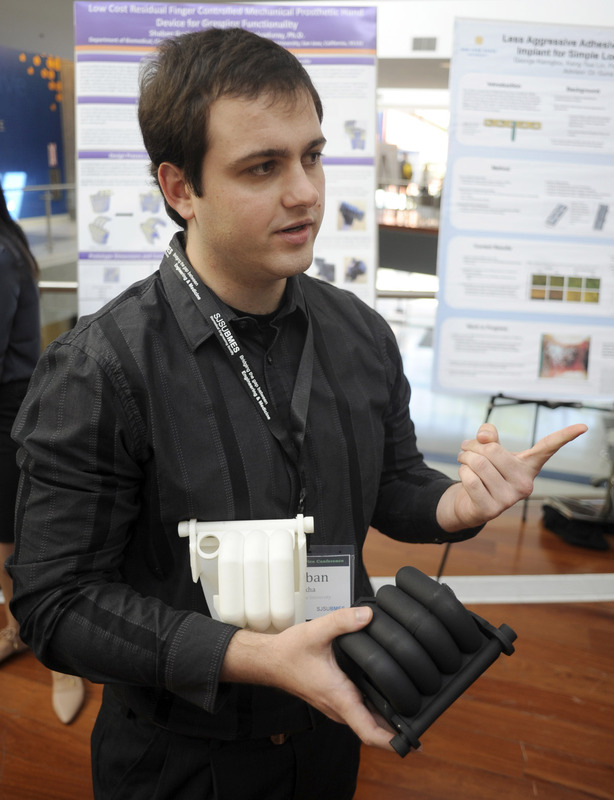 Michael Cataldo, ’17 Industrial and Systems Engineering, said his one-week pilot with the tracker was telling of the technology’s benefits. “I’m getting more and more into fitness, so it can tell me if I need to push myself further or ‘hey your heart beat is too high, you need to slow down,’” Cataldo said. Cataldo said his involvement in Sum’s research and collaboration with Professor Nathan-Roberts has cultivated a culture of sharing ideas. 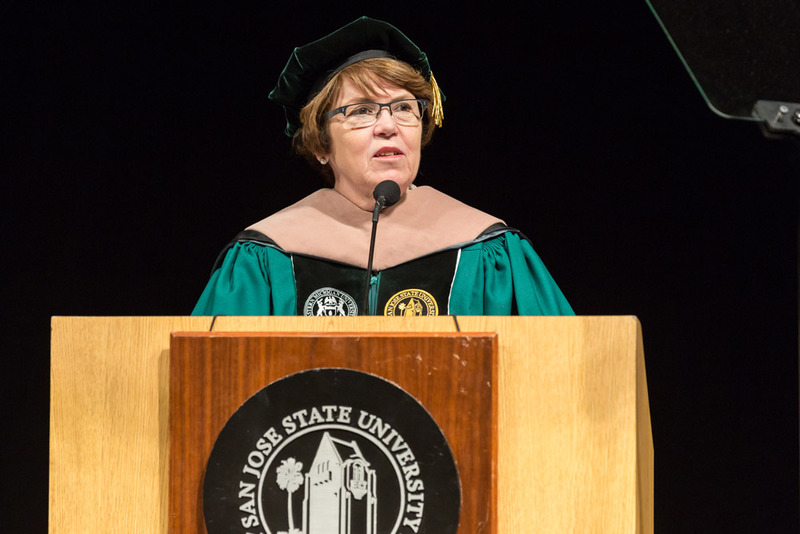 As Sum nears the end of the preliminary data collection period, she hopes to collaborate with the SJSU Valley Foundation School of Nursing to pair nursing students with trackers in an attempt to understand how the body works in various environments. When holographic reality tech company LEIA Inc. invited 16 computer science students to participate in an automotive hackathon last December, the startup looked forward to the results. The students did not disappoint, delivering projects utilizing the company’s 3D technology in various capacities including car displays, speedometers, navigation and automation. 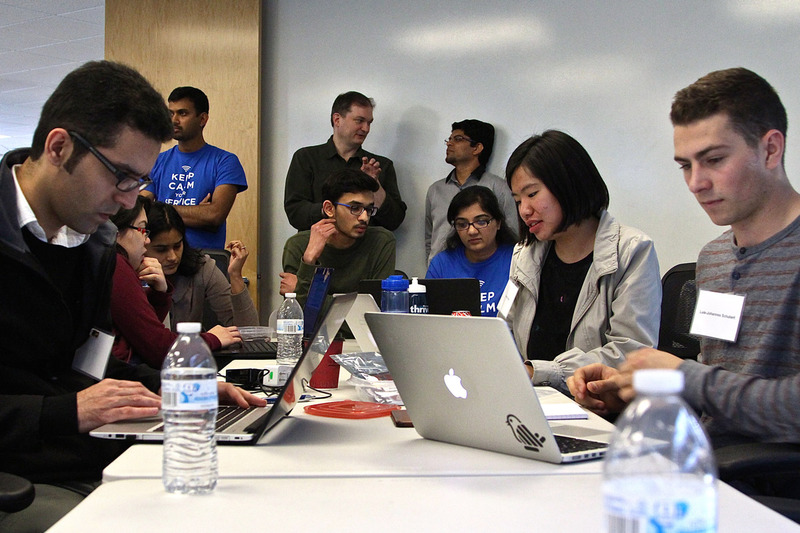 But the hackathon was extra meaningful for one Spartan: Daniel Geisler, ’17 Computer Science, is now a member of the company’s software development team. Geisler joined the team in February as an intern, where he’s been working on improving the company’s 3GS technology, a 3D technology that runs in a user’s web browser, so its holographic technology can work smoothly on any platform including Mac, Windows or Android. The company’s name reflects a scene from Star Wars IV when Luke finds an S.O.S. message from Leia. R2D2 displays the message in 3D. In 1977, this was science fiction. Today, it’s becoming reality. Although Geisler has only been working with the company for a little over a month, Armand Niederberger, director of data science and algorithms at LEIA Inc., said his contributions are immeasurable. Part of Geisler’s role entails translating the company’s code so it can be utilized on any platform on any computing environment, which can be a tedious task. Geisler spends eight hours a day fishing through code and ensuring that LEIA Inc.’s animation demos run smoothly. More recently, Geisler has utilized his prior videogame development experience in fine-tuning LEIA Inc.’s mesh animation, which is technology that is intended to mirror a human’s facial expression and duplicate it on a 3D-simulated character, or avatar. 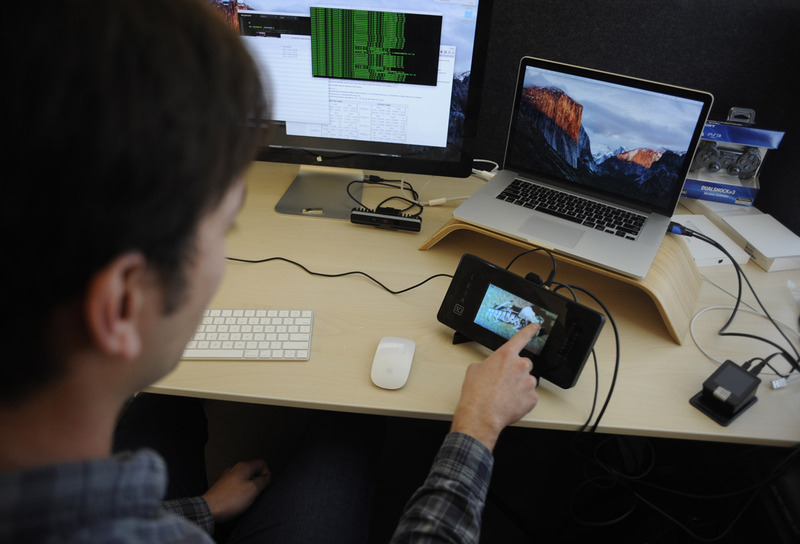 “I literally just sit there tweaking some code and looking at it to see if it’s working right [by making facial expressions],” Geisler said. 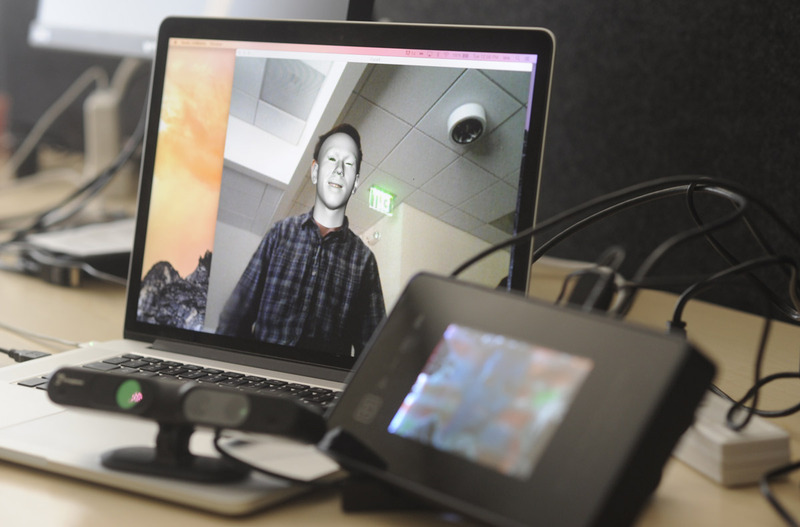 The technology, which for now offers two avatar choices of either a monkey or a pixie-like character, is intended to one day provide users the opportunity to 3D holographic chat with other users. “So you’ll be looking at someone else’s avatar, and they’re looking at your avatar, and you’re seeing their real-time face as the monkey, and you’ll be seeing theirs as whatever avatar they want,” Geisler said. Debra Caires, Geisler’s computer science lecturer, said she is thrilled that her student has benefited from the opportunity to work with a Silicon Valley startup company in SJSU’s backyard and have a hand in developing emerging technology. Geisler, who sometimes even dreams of finding solutions to 3D technology in his sleep, said his experience is beyond what can be taught in the classroom. Kourosh Ahari, ’16 Radio, Television and Film, director of “The Yellow Wallpaper” (Photo: Christina Olivas). 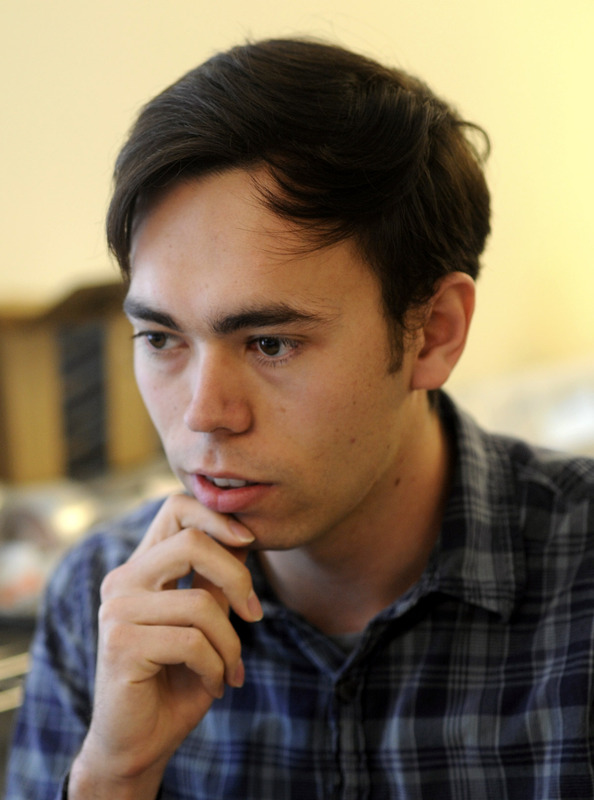 Armed with a Cannes Film Festival nod for his short film titled “Malaise” and now two films premiering at Cinequest, a San Jose State student filmmaker has already accomplished more than he expected — and he hasn’t even graduated yet. 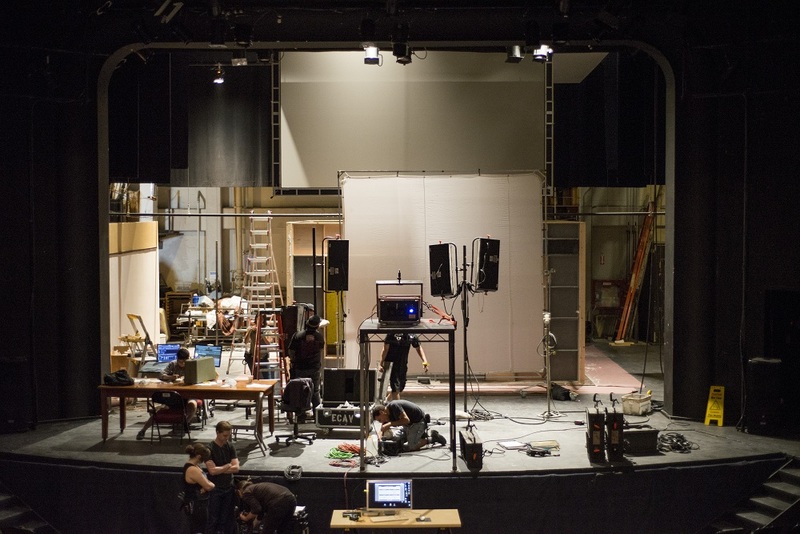 Kourosh Ahari, ’16 Radio, Television and Film, premiered his 80-minute feature-length adaption of Charlotte Perkins Gilman’s story “The Yellow Wallpaper” at the grand re-opening of the Hammer Theatre Center on March 2. 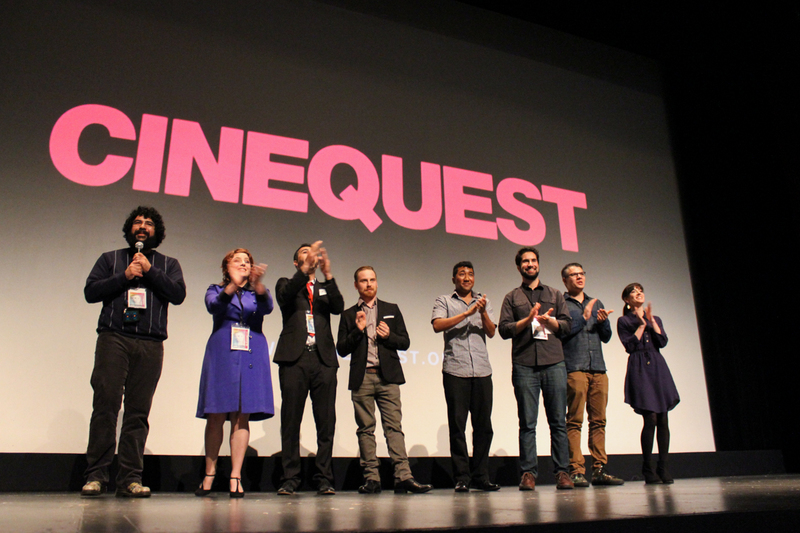 The event was held in collaboration with Cinequest. The film will be shown again March 12. Ahari, an Iran native, sowed his passion for directing during his time producing short films, with “Malaise,” his first directing job, premiering at SJSU’s Campus Movie Fest last year. Ahari enjoys the process of connecting with actors and delving into the depths of human emotions in his role as a director, but wouldn’t have gotten his start in film had he been accepted in SJSU’s impacted animation department. 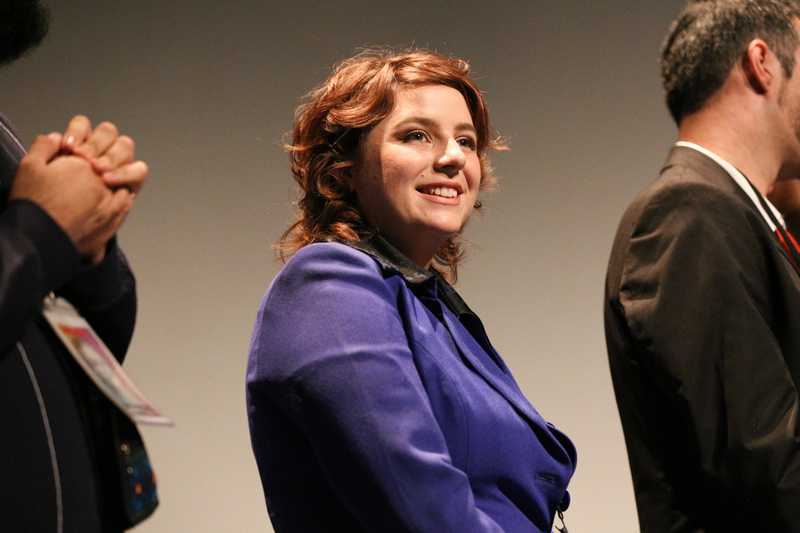 Amy Roberts, ’16 Radio, Television and Film, screenwriter of “The Yellow Wallpaper” (Photo: Christina Olivas). The story, originally set in the 1800s, chronicles a woman named Eleanor and her struggle to overcome postpartum depression. Living in a newly bought Victorian mansion with her husband, she quickly loses her sanity while locked in her bedroom. There, she begins to become obsessed with the changing patterns of the yellow wallpaper. Ahari pitched this story as part of his advanced special projects class last spring. SJSU Director of Theater and Film Production Barnaby Dallas suggested Ahari work with a female screenwriter to adapt the story in order to maintain an authentic women’s perspective of how postpartum depression was just one of many issues ignored by society during that time. Roberts, who will graduate this year with a bachelor’s in Radio, Television and Film, decided to adapt the script to a more contemporary 1950s setting so themes of female subjugation could still ring true with audiences. “That’s what impressed me, to have a male student so moved by the story itself and choose to go forward with it,” Roberts said. During the one-month pre-production phase, Kourosh and his crew built the yellow bedroom set, cast the actors, obtained permits for the Victorian house set and launched into principal photography. Despite the grueling hours, Ahari said work ethic of his cast and crew is the reason he was able to complete the shooting portion in just a week. Dallas, who often supervised production days as part of his mentorship role with Spartan Film Studios, said the student crew’s dedication was astounding. Cinequest is showing Ahari’s film not just once, but twice, with the second showing scheduled for March 12. Ahari hopes to complete “The Yellow Wallpaper” by May 2016 so he can submit it to Cannes Film Festival. Kourosh and his crew on stage at the Hammer Theatre (Photo: Christina Olivas). 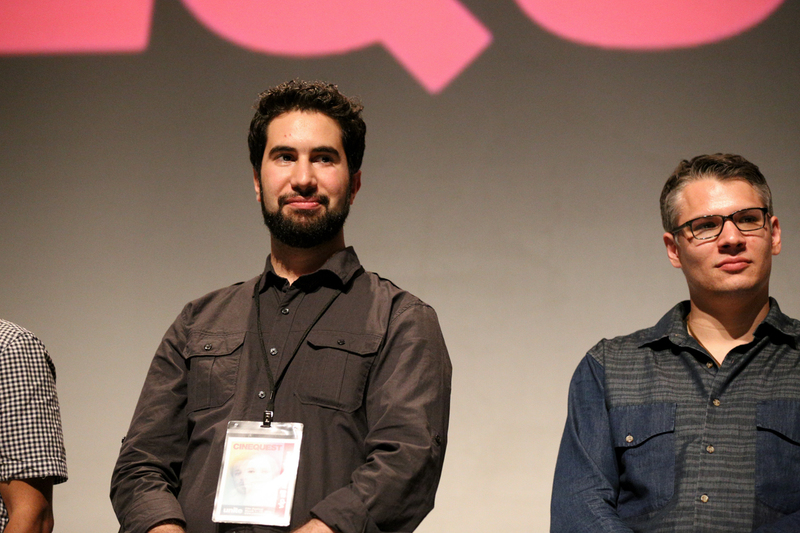 Following the Cinequest premier of the film, Kourosh and his crew took the stage and invited the audience to critique the film. A handful of viewers questioned the choice to focus on the mental health theme of the 1892 story, as opposed to the feminist interpretation found in other adaptions. With Super Bowl 50 in San Jose State’s backyard, guests of the Broncos/Panthers showdown at Levi’s Stadium on Feb. 7 will encounter Spartans working in different capacities, including hospitality management. Melissa Leong, ’10 Hospitality Tourism and Event Management, is part of Levi’s Stadium’s Centerplate team, along with other SJSU students and recent graduates. Their role? 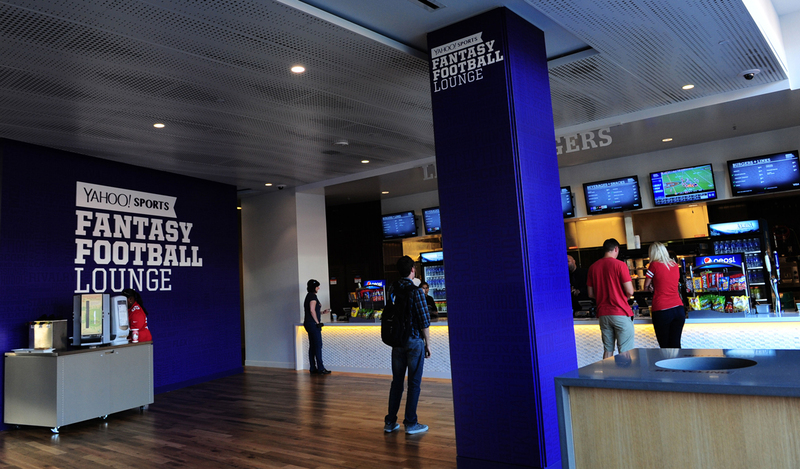 Ensuring game day is memorable for guests in the United Airlines Club and Yahoo Fantasy Football Lounge. As club manager of Centerplate, a food and beverage provider for the stadium, Leong said she utilizes her experience gained with SJSU’s Special Event Management Team at the 2009 AT&T Pro-Am in Pebble Beach to provide exceptional service. 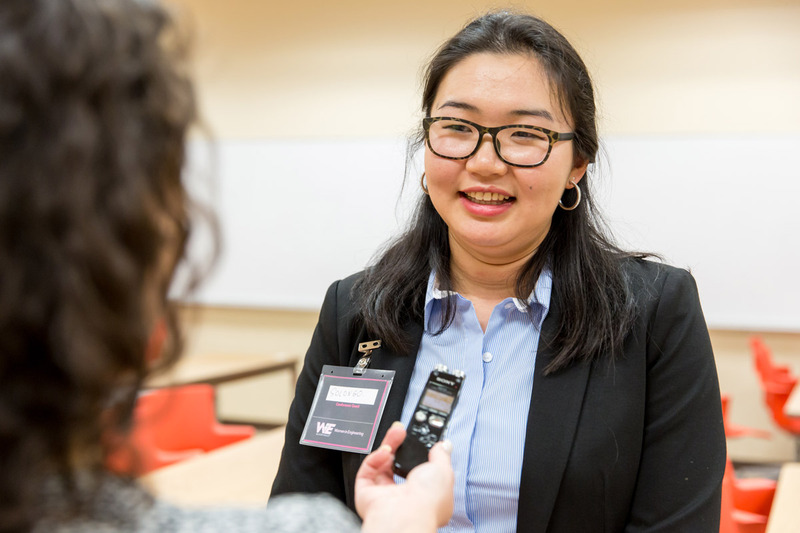 “It was a phenomenal program that put us students in real-world business situations to manage and oversee a major hospitality situation,” Leong said. Now overseeing a staff of more than 100 employees on major event days such as the upcoming Super Bowl, Leong is preparing to serve thousands of guests alongside senior hospitality management major Danielle Vidal. Vidal, a fellow participant in the SEMT program, is a supervisor for the premium Levi’s 501 Club at the 400 level of the stadium. Vidal will spend game day managing 2,500 guests and ensuring they enjoy Centerplate’s eight food and beverage options, all while maintaining high levels of cleanliness and Super Bowl fun. Andrew Fernandez, ’13 Hospitality, Tourism, and Event Management, a former Centerplate suite administrator, has worked at Levi’s Stadium since its inaugural season in 2014. Now as a Premium Member Services representative for the San Francisco 49ers, Fernandez is preparing to focus on assisting Premium Club seat members to ensure their experience is unforgettable. Leong has spent her time leading up to game day by training employees, building business plans and reaching decisions regarding the overall operation of her clubs. Frenzied stampede, labored calls to action and beads of sweat—this isn’t a last ditch effort to win the Super Bowl. It’s what the media experiences while covering the big game, SJSU alumni say. 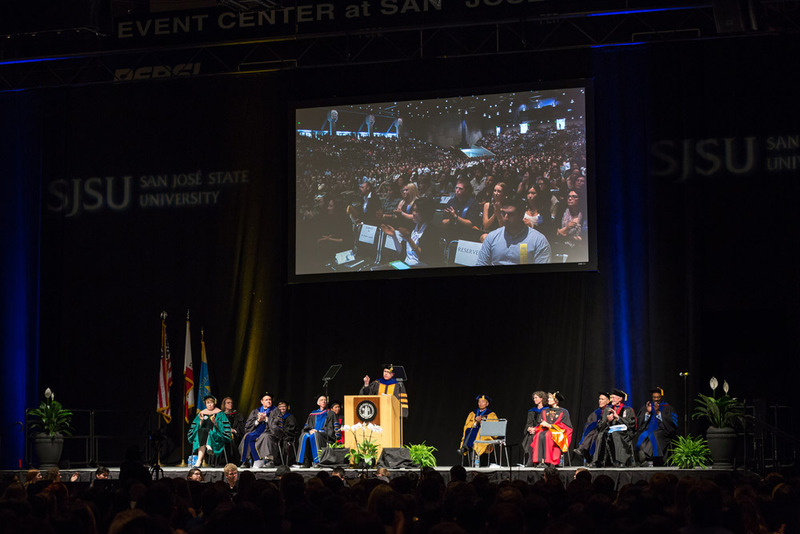 San Jose State graduates are among the seasoned media professionals who have reported on the Super Bowl, including sports photographers, sports columnists and television field producers. Soliday utilized his sports column as a means of telling compelling Super Bowl stories. As an Oakland Raiders and San Francisco 49ers beat writer for the Oakland Tribune for most of his professional career, Soliday covered 19 Super Bowls, eight of which had Bay Area winners. Now retired, Soliday recalls jostling through a crowd of media, sometimes even shouting his questions to nearby players in order to get an interview. Soliday said he learned the importance of journalism during his time as a Spartan Daily staff writer the day President John F. Kennedy was assassinated, when he was tasked to write Kennedy’s biography. Brad Mangin, ’88 Journalism and Mass Communications, got his introduction to Super Bowl coverage two years following graduation from SJSU while at the Contra Costa Times. Mangin, a photojournalism student who says he would only step foot outside the photo lab in Dwight Bentel Hall for Peanuts Deluxe Café, said he couldn’t imagine shooting the massive event just a few years later. “You’re standing by the sidelines and thinking ‘this can’t be that big of a deal because I’m here,’” Mangin said. Now more than 20 years later, Mangin will revisit the Super Bowl frenzy to shoot for Sports Illustrated. In the video link below, watch Mangin discuss how he plans to tackle Super Bowl 50. Although he’s excited to shoot the game again, he said he values the people who are reporting by his side. Dennis Ackerman, ’92 Journalism and Mass Communications, said the hands on experience he gained at SJSU prepared him for providing a quality broadcast to viewers. Ackerman, now a field producer for Fox Sports 1, got his start on early Friday morning tapings of SJSU’s TV news broadcast, Update News. Ackerman said his Super Bowl production schedule requires over a week of preparation, which includes gaining familiarity of the stadium and establishing shot locations for his crew. “It’s definitely an adrenalin rush but you want to make sure everything goes smoothly,” Ackerman said. 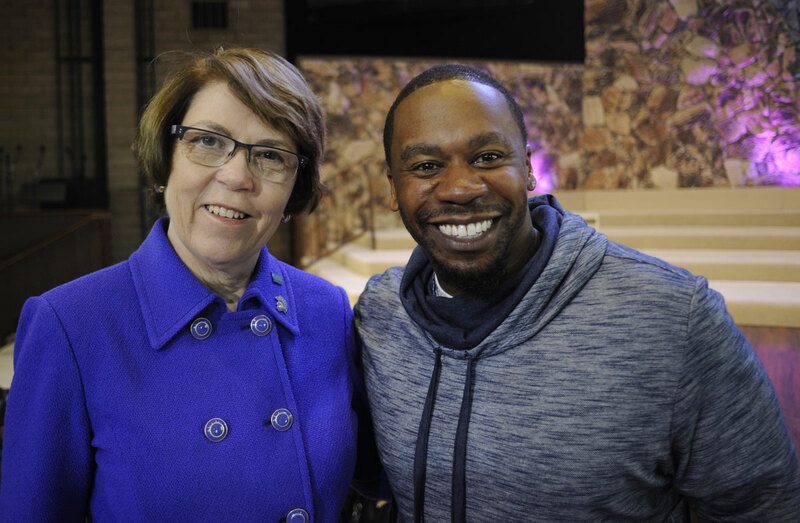 As he approaches the third Super Bowl coverage opportunity of his career, Ackerman said his journey from a student to a professional has been informative.